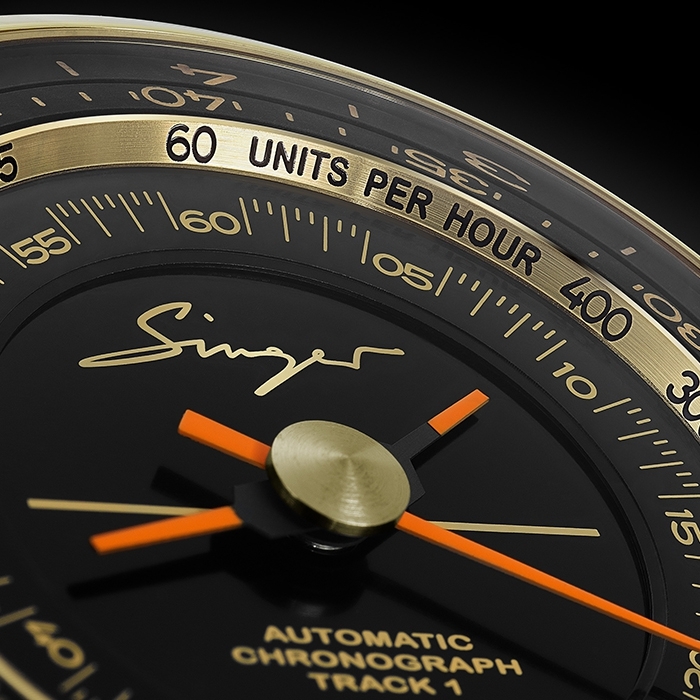 Singer Reimagined | 77'200 € Tax inc.
Reengineering the chronograph was not enough, Singer Track 1 goes even further. For the second edition of its revolutionary chronograph, Singer Reimagined has selected a luscious yellow gold case, a nod to iconic watches from the past. Though linked to this classical DNA, the Track1 Geneva Edition nonetheless represents the bleeding edge of high-watchmaking design with its radical movement and presentation of the chronograph and time display. 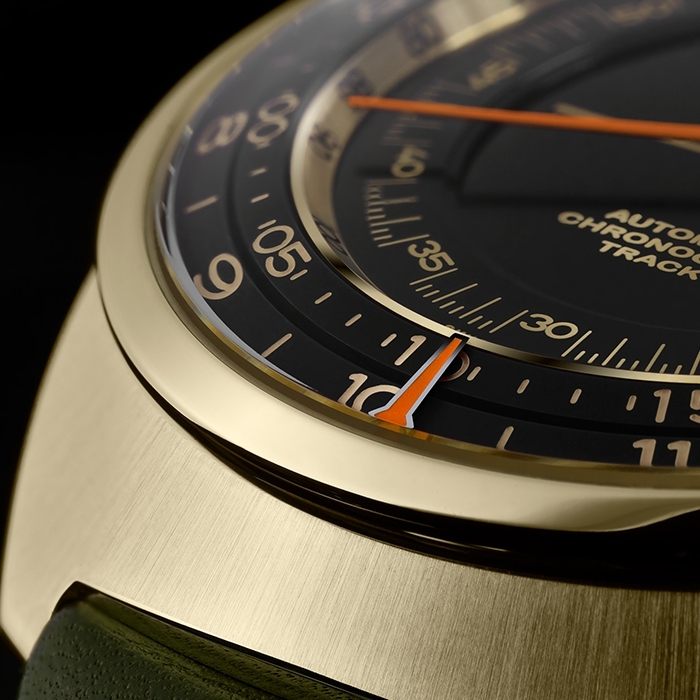 The Track 1 – Geneva Edition is showcased in a rare light yellow shade (1N) subtly finished with alternating brushed and polished surfaces. The design cues clearly hark from a golden age, namely the 1970s. It is presented in contrasting black and gold, a stylish, luxurious color combination. The only exception is the orange hands for optimal readability. 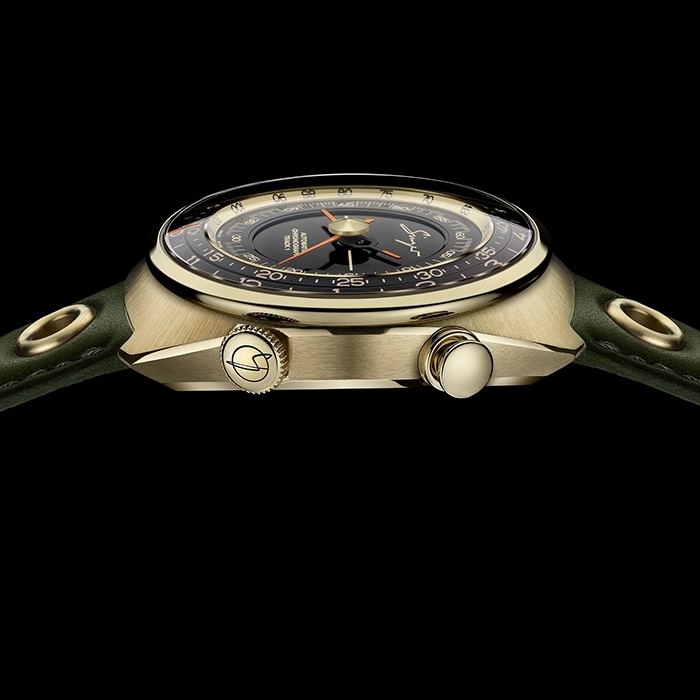 The dial features a new layout with a unique large central chronograph counter. Its pure, minimal design allows for a radical focus on functionality as it should for a stop-watch. 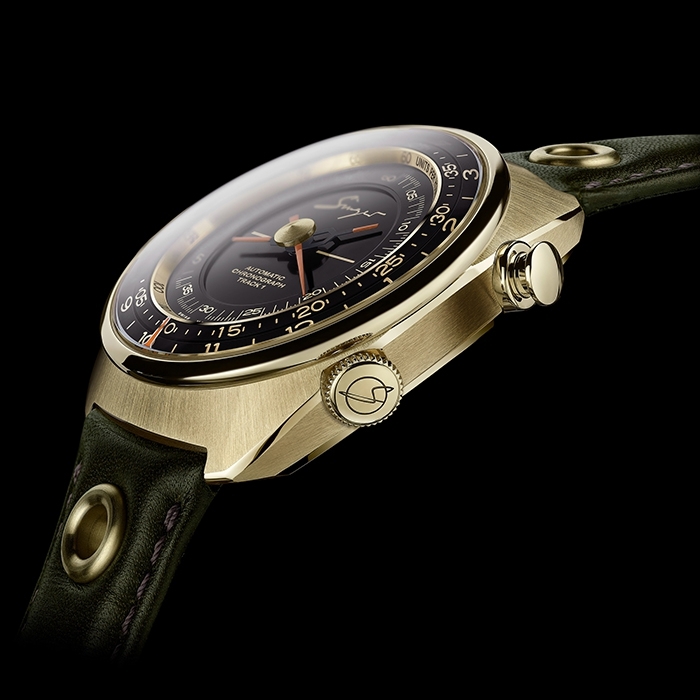 The chronograph indications and chapter ring have been moved to the outer part the dial, leaving the central area free for the Singer logo and script ‘Automatic Chronograph Track1’. A gloss black finish highlights the matte gold discs and inscriptions. A delicate golden line runs horizontally through the dial as a final vintage note. 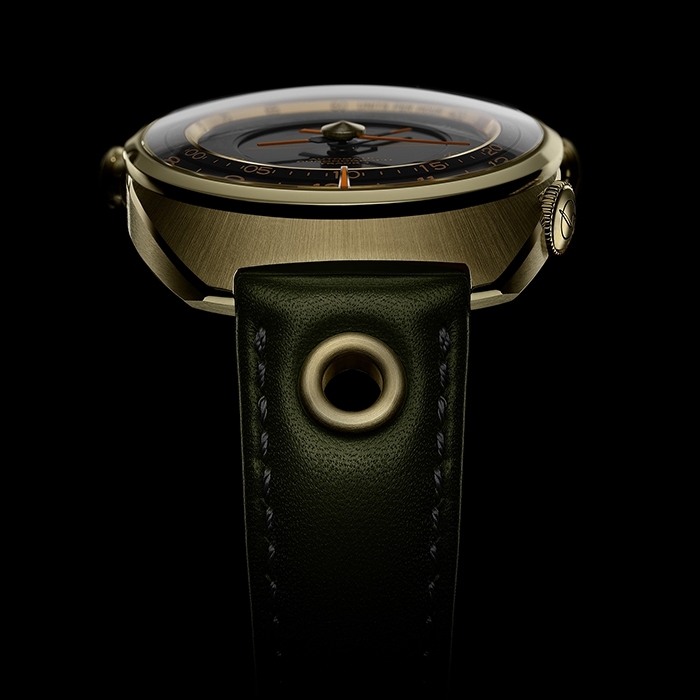 43 mm in diameter, the dynamic barrel-shaped case features an ergonomic shape emphasized by alternate sunray brushed and polished finishes. The start stop pushers are located on either side of the case for enhanced operations. The crown is seamlessly integrated into the base band. While the chronograph is one of the most popular complications, most people do not realize that its mechanism is among the most complex to design and manufacture. The result of ten years of development, this groundbreaking piece of mechanical ingenuity is radically different from anything that has come before it, completely redefining fundamental principles that have remained unchanged for decades. 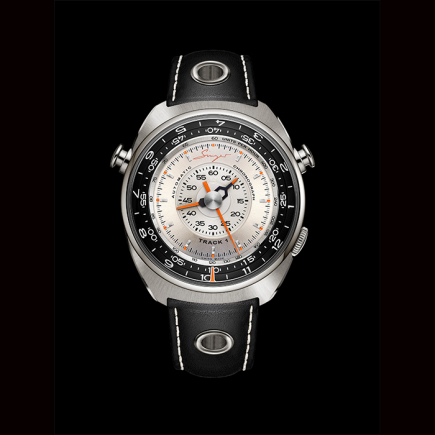 The underlying idea that led to the invention of the AgenGraphe was to enhance the legibility of the chronograph – which is usually poor due to the indications being spread out across the dial combined with the use of small counters. The AgenGraphe brings together all the chronograph functions in the center of the watch, allowing for an easy and intuitive reading of elapsed time. Achieving this required radically new movement architecture in order to create space centrally for the chronograph mechanism. As a result, the timekeeping functions are built into the periphery. 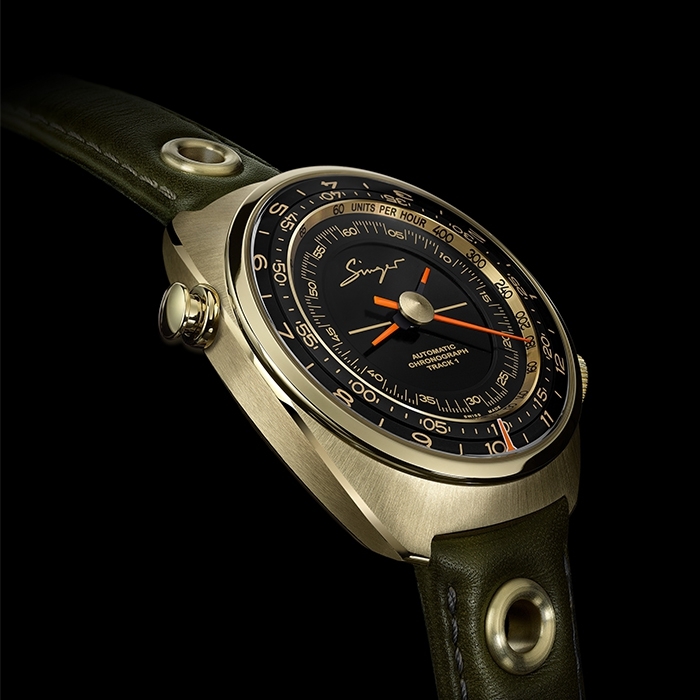 Singer Reimagined was born from an encounter between Rob Dickinson, the founder of Singer Vehicle Design, and Marco Borraccino, a well-known watch designer. The connection over design and engineering was instant. During almost a year, Rob in California and Marco in Geneva riffed on cars, music, watches and a shared fascination with mechanical icons, particularly the iconic sport-classic chronographs of the late 1960s and ‘70s. From this discussion an idea was born; to create mighty timepieces that would reimagine high-watchmaking. It was at this point that a decisive encounter with a third pillar of the collaboration took place. 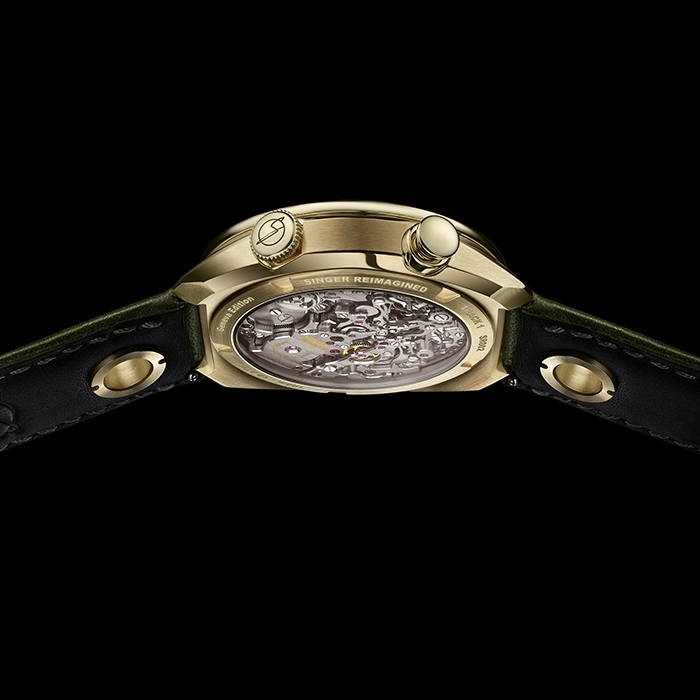 Marco shared his idea for a unique chronograph with famed Master watchmaker Jean-Marc Wiederrecht, who was prepared for skepticism. This quickly turned to enthusiasm as Marco unveiled his drawings. 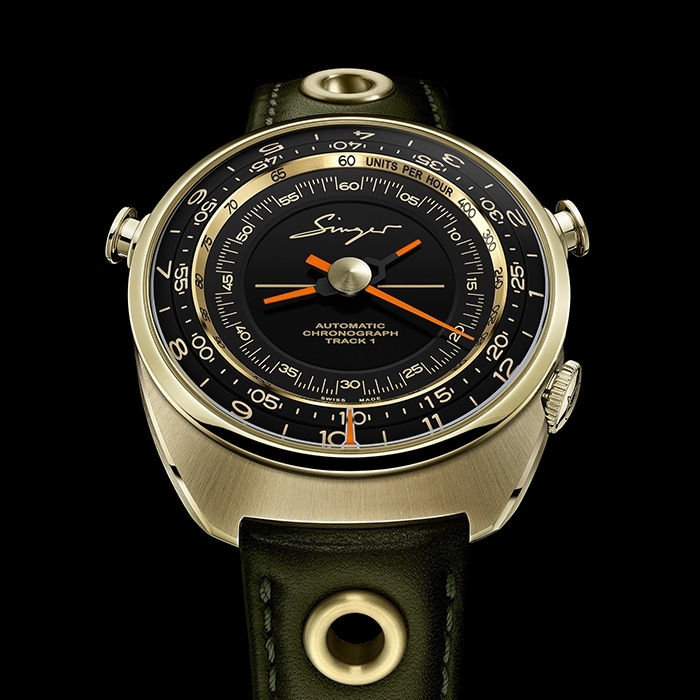 Singer Reimagined has been created to explore the world of high watchmaking. Our watches are defined by that same guiding principle: the need to improve, ignore convention, edge closer to perfection and ask “what if?” We believe that beauty comes from the uncompromising pursuit of optimized functionality, obsessively searching for ways to optimize every elemental strand of design. A flagrant disregard for the concept of “good enough” and a willingness to overturn convention characterizes our work. The end result must delight, borne from the single-minded pursuit of aesthetic and engineering perfection. The more you scratch the surface with Singer’s work, the more there is to decode. A never-seen-before movement a decade in development, a team bringing together true design and engineering talent from automotive and horological worlds and a love affair between California and Geneva. Nothing would have been possible without this team of industry experts, who bring together an unparalleled depth and breadth of skill and experience. 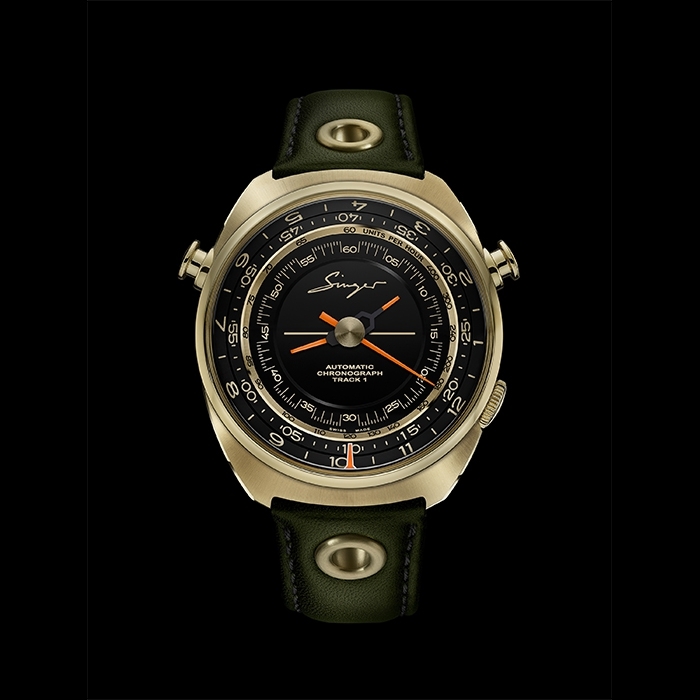 Just as Agenhor has played a pivotal role in the development of this revolutionary chronograph, so too has every manufacturing partner made an invaluable contribution. 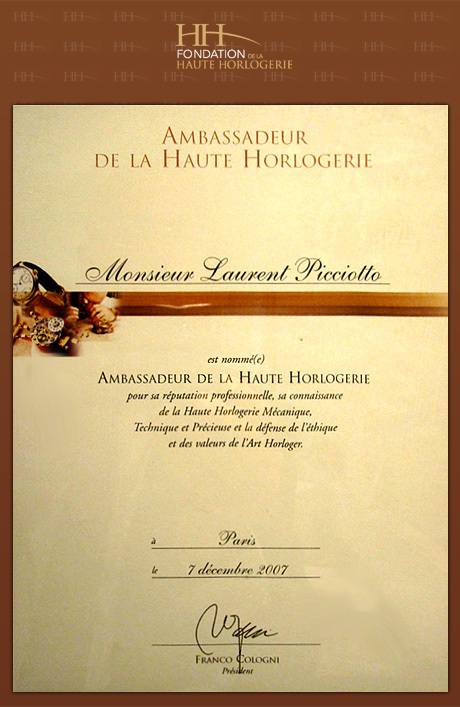 As masters in their respective fields, each has been specially selected for their shared passion for excellence. Not surprisingly then, the whole crew has been caught up in the enthusiasm of bringing an extraordinary project to life. 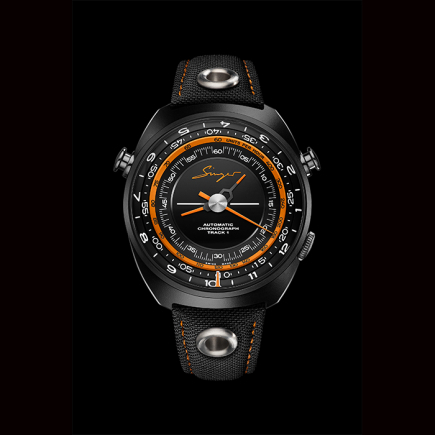 Being part of the Singer Reimagined adventure is not about playing it safe, it is about authentic collaboration, united by a need to explore beyond the boundaries of traditional mechanical watchmaking in search of a brush with perfection. - Sweep chronograph second hand (60 seconds).